I have some really exciting news to share! Just last month I was appointed by WorldVenture to serve as a missionary to Cambodia! WorldVenture will be partnering with my church family at New Braunfels Bible Church in New Braunfels, Texas to equip, guide, and spur me on as I prepare to launch into long term mission ministry in Cambodia. 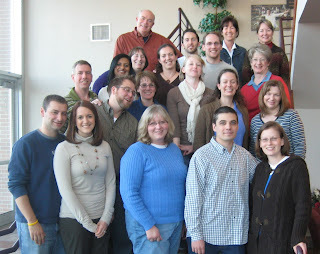 I had the privilege of joining 14 other missionary appointees (five couples and four other singles) and the WorldVenture Paraclete Center staff for two weeks of candidate orientation in Littleton, Colorado. Each appointee has a mentor, a member of their church who has agreed to fill a special role in teaming up with the missionary to aid in the process of preparing to get to the field. I am delighted and honored to have my dear friend, Renee Garner serving me in that role. Our mentors joined us for several days of our orientation, so it was really nice to be reunited with her during that time. It was a busy time, with a lot of information coming at us, but it was also exciting to be entering into a new and even more intentional stage of preparation for long term missions ministry, and getting to do it alongside some other really wonderful people.